Observational high-energy astrophysics, including X-ray and gamma-ray astronomy, optical astronomy, and neutron stars and black holes. In 1996, Prof. Chakrabarty was awarded the Ph.D. in Physics from the California Institute of Technology, following two years at the Lawrence Berkeley National Laboratory (1988-90) as a staff Physicist working on the Berkeley Automated Supernova Search. Prior to that, he completed his S.B. in Physics at MIT, in 1988. Professor Chakrabarty returned to MIT in 1996 for a two-year appointment as a NASA Compton GRO Postdoctoral Fellow, followed by a year spent as a Visiting Fellow at Balliol College, Oxford University (1998). In 1999, he accepted an Assistant Professorship within the Department of Physics at MIT. 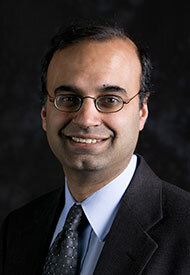 He was promoted to Associate Professor, with tenure, in July 2004. Professor Chakrabarty's most recent awards include an Alfred P. Sloan Research Fellowship (2001-03), and the inaugural 2017 MITx Prize for Teaching and Learning in MOOCs for his work on the 8.01x Mechanics Series. "Observations of accreting pulsars," Bildsten L, Chakrabarty D, Chiu J, Finger MH, Koh DT, Nelson RW, Prince TA, Rubin BC, Scott DM, Stollberg M, Vaughan BA, Wilson CA, Wilson RB, ASTROPHYSICAL JOURNAL SUPPLEMENT SERIES 113 (2): 367-408 DEC 1997. "Torque reversal and spin-down of the accretion-powered pulsar 4U 1626-67," Chakrabarty D, Bildsten L, Grunsfeld JM, Koh DT, Prince TA, Vaughan BA, ASTROPHYSICAL JOURNAL 474 (1): 414-425 Part 1 JAN 1 1997. "The two-hour orbit of a binary millisecond x-ray pulsar," Chakrabarty D, Morgan EH, NATURE 394 (6691): 346-348 JUL 23 1998. "Neutron star mass measurements. I. Radio pulsars," Thorsett SE, Chakrabarty D, ASTROPHYSICAL JOURNAL 512 (1): 288-299 Part 1 FEB 10 1999. "Precision timing of two anomalous X-ray pulsars," Kaspi VM, Chakrabarty D, Steinberger J, ASTROPHYSICAL JOURNAL 525 (1): L33-L36 Part 2 NOV 1 1999. "A glitch in an anomalous X-ray pulsar," Kaspi VM, Lackey JR, Chakrabarty D, ASTROPHYSICAL JOURNAL 537 (1): L31-L34 Part 2 JUL 1 2000. "The central X-ray point source in Cassiopeia A," Chakrabarty D, Pivovaroff MJ, Hernquist LE, Heyl JS, Narayan R, ASTROPHYSICAL JOURNAL 548 (2): 800-810 Part 1 FEB 20 2001. A phase-connected timing solution for the magnetar candidate 1E 1841-045," Gotthelf EV, Gavriil FP, Kaspi VM, Vasisht G, Chakrabarty D, ASTROPHYSICAL JOURNAL, 564 (1): L31-L34 Part 2 JAN 1 2002.